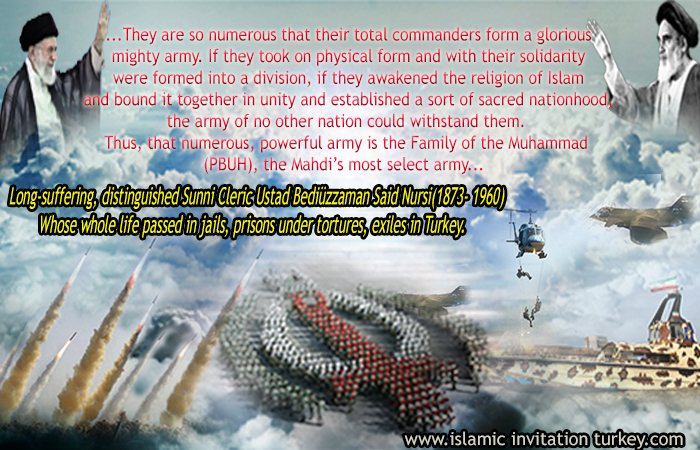 Long- suffering prominent sunni cleric Ustad Bediüzzaman Said Nursi r.a (1873- 1960) ( whose whole life passed in jails, prisons, under tortures, exile of the rulers of time in Turkey. (1873- 1960). His Eminence had sacrificed his mubarak whole life to Allah’s way and serving Islam. 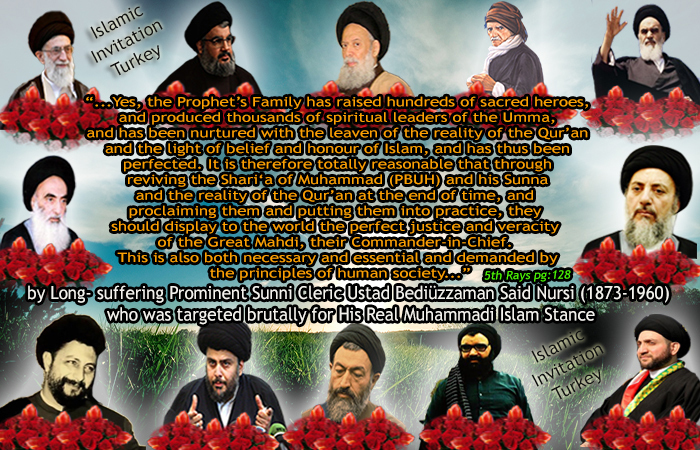 Ustad was representing Real Mohammadi (pbuh) Islam so He was targeted by taghutic system untill He arrived at Allah…) He had never found any time even to marry and had children SO His Eminence accepted a very prominent Sunni Cleric Ustad Hilmi Kocaaslan (Hizbullah Hakverdi) as his Spiritually Adopted Son when Ustad Hilmi was about 16 years old. 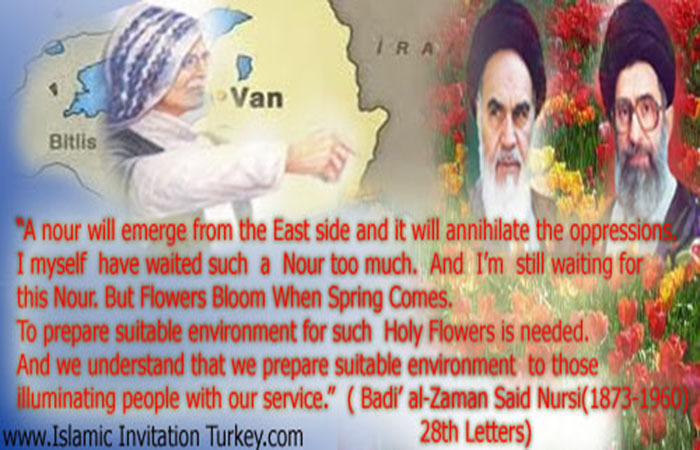 Ustad Hizbullah Hakverdi who has never adopted any systems opposing to the Divine Religion of Allah is living in Turkey and His eminence Ustad Hizbullah is the Complementary Successor of the Late Ustad Bediüzzaman Said Nursi r.a. Ustad Hizbullah gives so importance to Unity, Islamic Wahdat, Unified Islamic Nations, Republic of Unified Islamic States and his writings are on these topics. 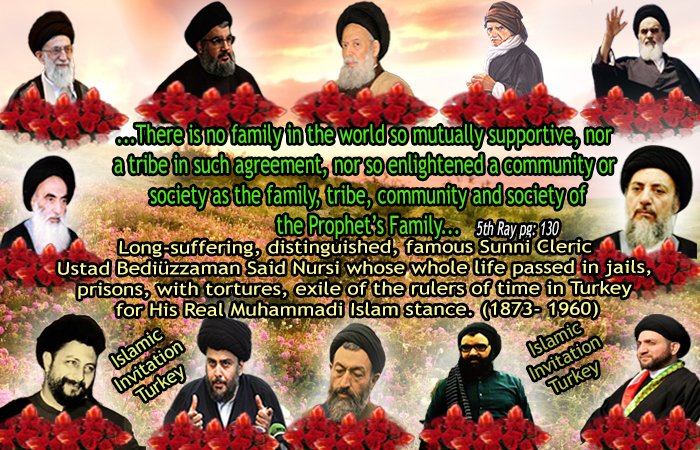 He emphasizes the real enemies of Islam and uncovers the real face of islamic- cloth enemies and describes the Americanized Islam. 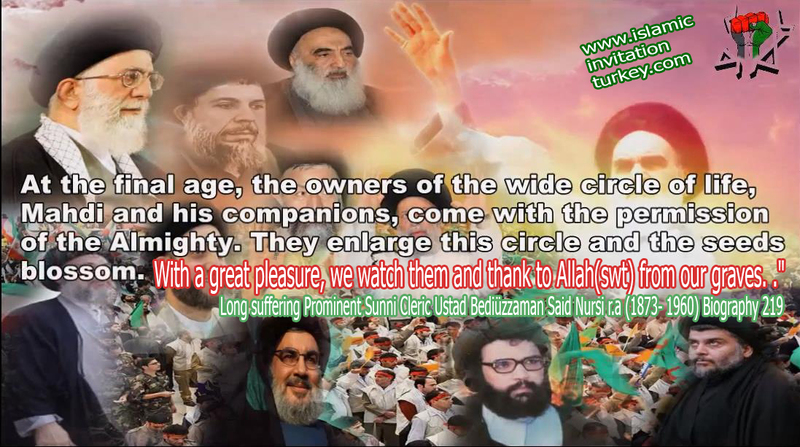 Ustad Hizbullah has written many books, articles, subjects… on these topics so far. 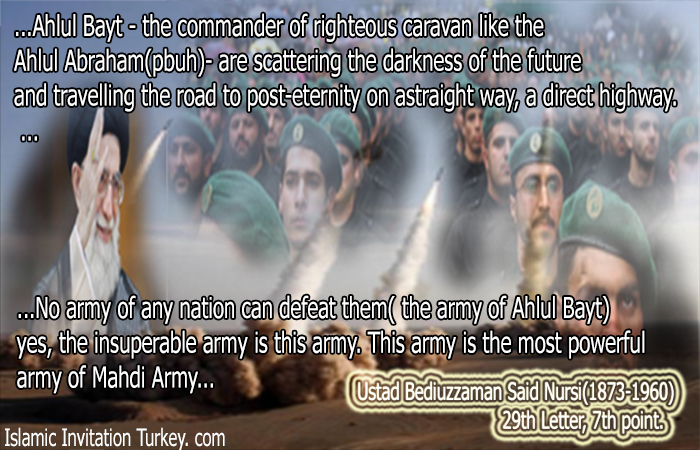 Ustad Bediüzzaman described Turkey as the Islamic Sufyan (Imam Ali is the only one narrating this hadith) and the whole world now witnessing this happening. Ustad Bediüzzaman said Europe is pregnat with Islam and it will give birth to Islam; and Ottoman is pregnant with Europa and it will give birth to Europe” today we are wittnessing this event in the world clearly.